Unlike my brother and sister, I can go without eating rice for a month and not crave for it. But I can’t say the same for noodles. 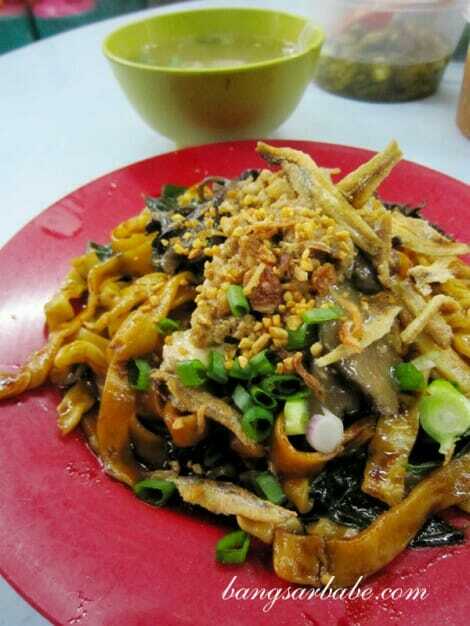 I love eating noodles, especially hor fun (kuay teow) and pan mee (handmade noodles). After hearing a few colleagues raving about this good pan mee place in Petaling Street, I decided to try it for myself. 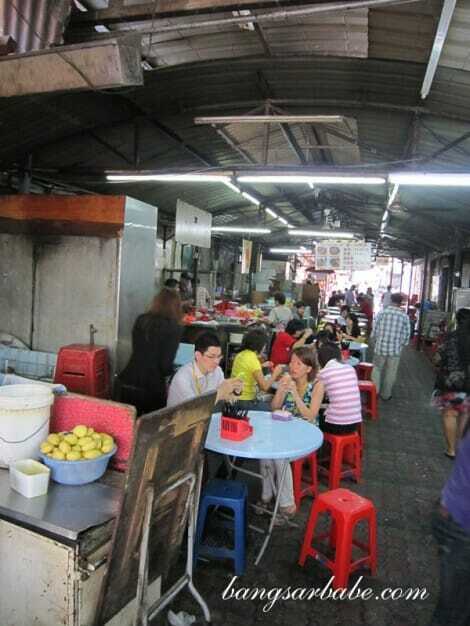 Note that this pan mee place is a stall, located in a dark alley in Petaling Street. During lunch hour, the place gets pretty crowded with office workers tucking into their hot bowl of noodles. I ordered a pan mee soup (RM3.80 – small, RM4.30 – medium) and added an egg for an extra RM0.50. Tastewise, I wouldn’t say it was great. The pan mee was decent and they were pretty generous with the minced pork, mushroom slices and fried anchovies. I did however like the chilli sauce – a spicy and tangy combination – that gave the pan mee a sour kick. If you like it extra tangy, you can add some lime into the chilli sauce. My colleague ordered the dry version, which he said was better than the soup one. I like soupy noodles so I thought otherwise. 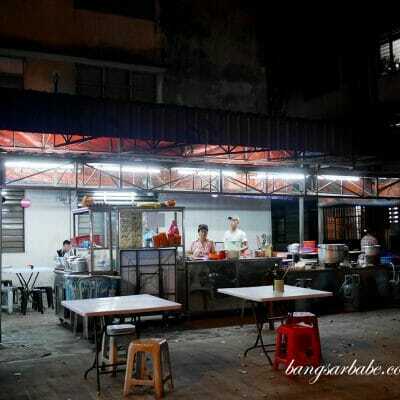 For less than RM5, you can get a decent meal here, but the ambiance is pretty crappy. Throughout my lunch there, I had to endure whiffs of unpleasant drain smells which can be a huge turnoff if you’re particular about ambiance. The place gets really hot in the afternoon due to the zinc rooftop so if you’re wearing proper office attire, lose the tie and roll up your sleeves! Verdict: Decent pan mee, but only eat here if you can bear with the ambiance. 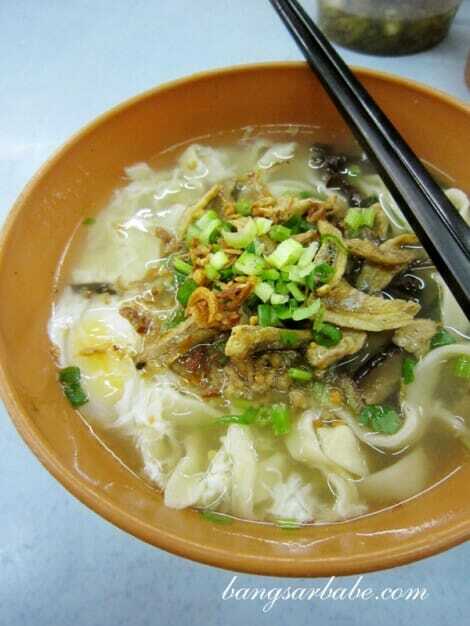 I love hor fun and pan mee too! I dislike dining in dirty places, it’s a real turn-off for me even before I start eating! The place is alright to me despite the ambiance there. Nevertheless I consider coming back there again after visiting it just for a bowl of tasty pan mee whenever I am in Petaling Street. You’re so right. If I don’t mind sweating just for a day, then I’d visit it occasionally.